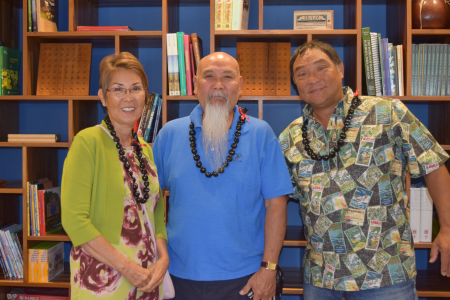 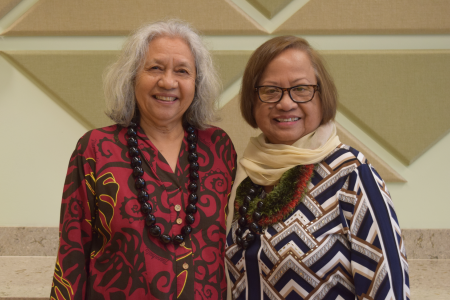 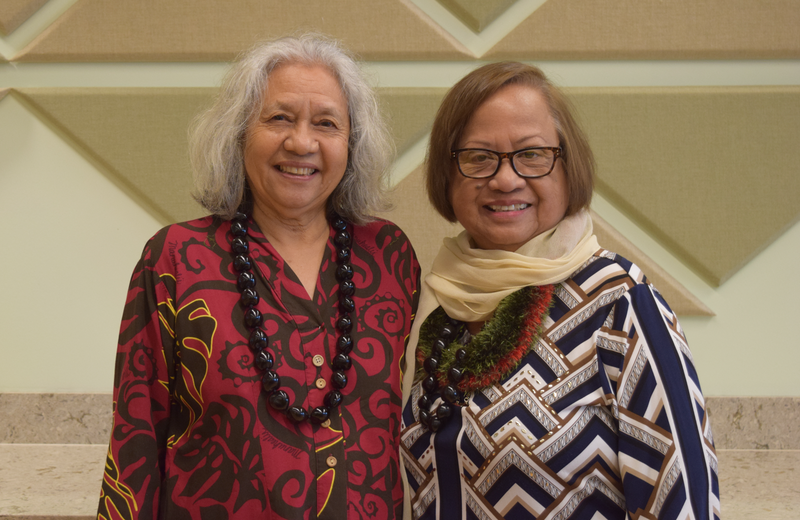 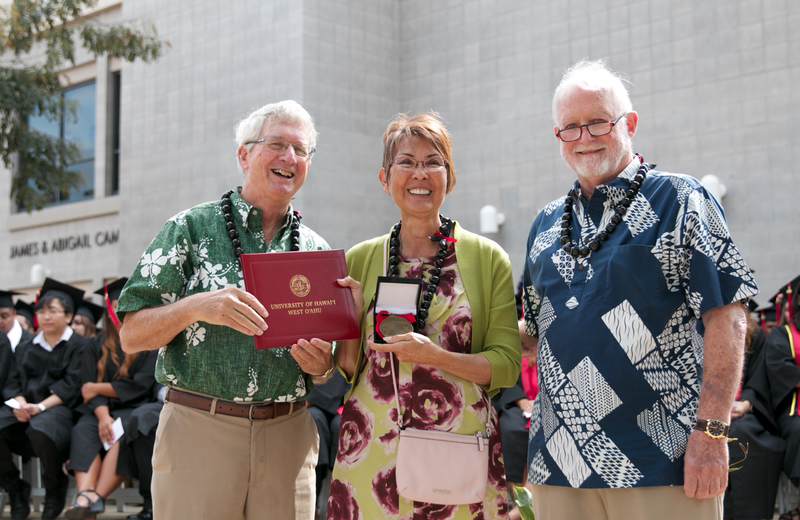 At the Spring 2018 UH West O‘ahu commencement ceremony, Chancellor Maenette Benham and UH West O‘ahu Alumni Association President Shannon Takai honored the six graduates of the class of 1976/1977—the school’s first graduating class—as Nā Lehua ‘Ula Scholars. 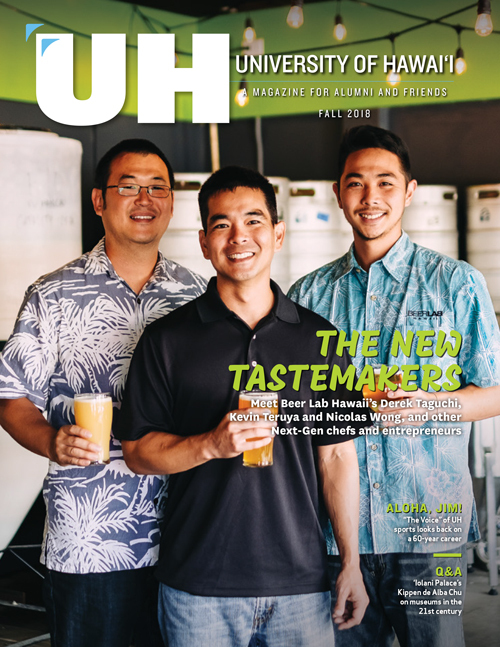 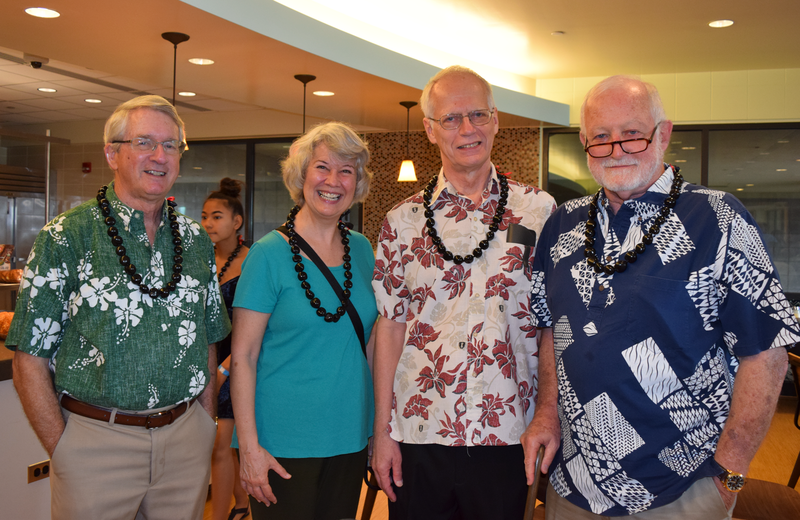 These six graduates were pioneers in early UH West O‘ahu history—enrolling in what was then known as the brand new West Oahu College. 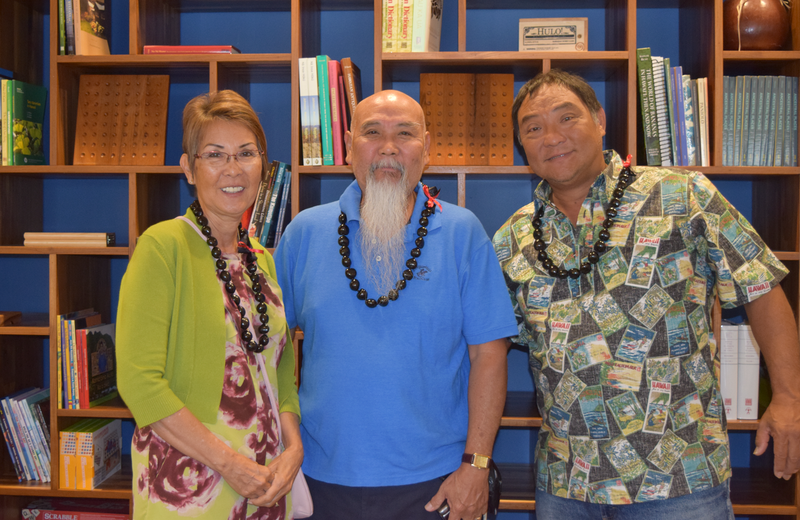 At that time, the school was housed in just a few offices in a non-descript building in Pearl City. 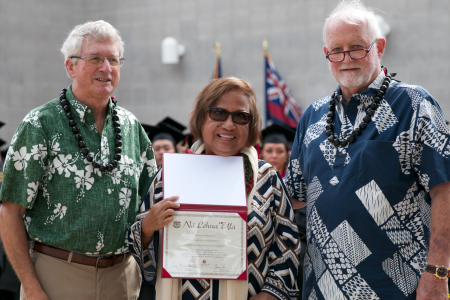 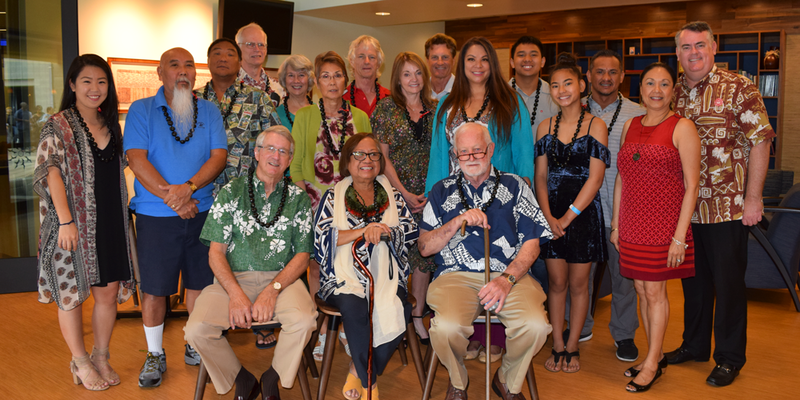 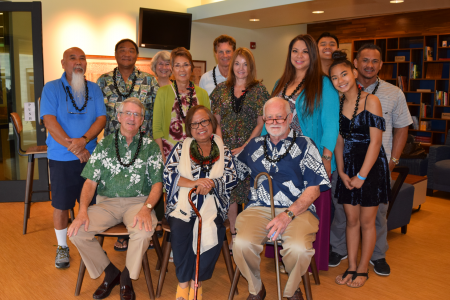 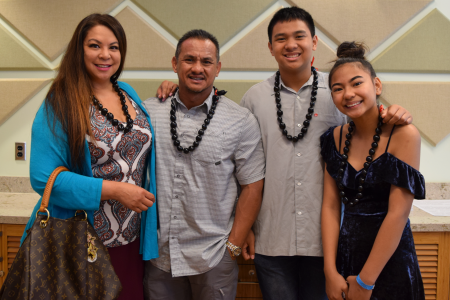 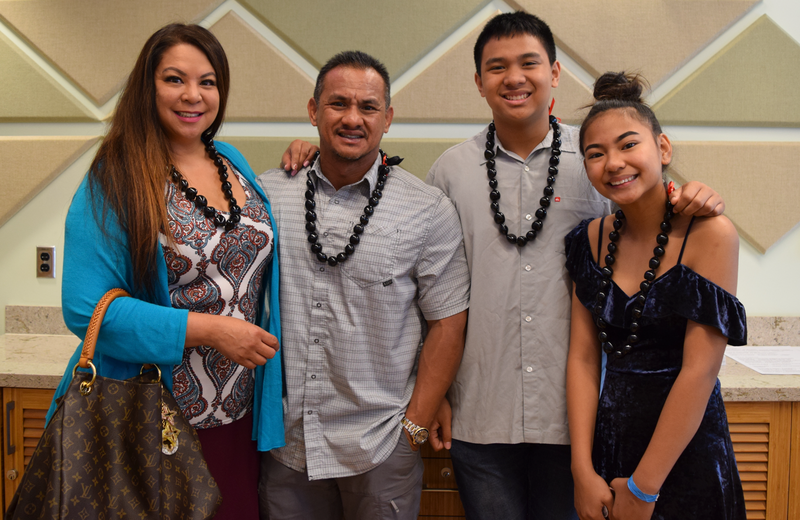 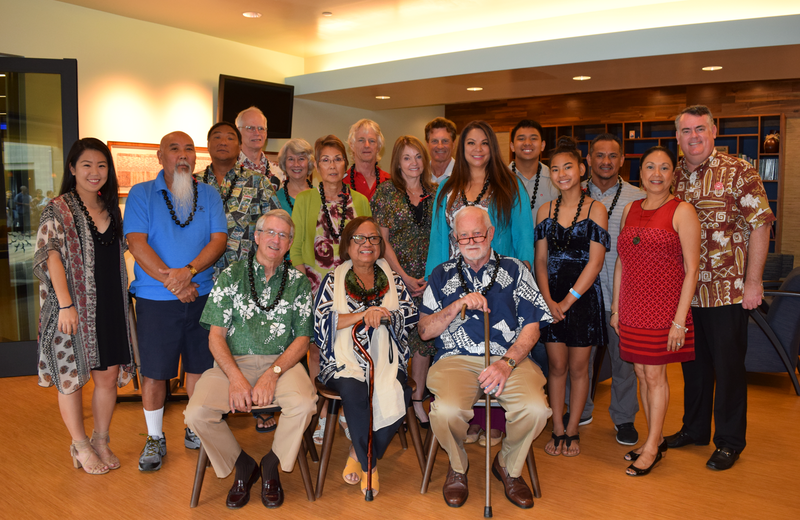 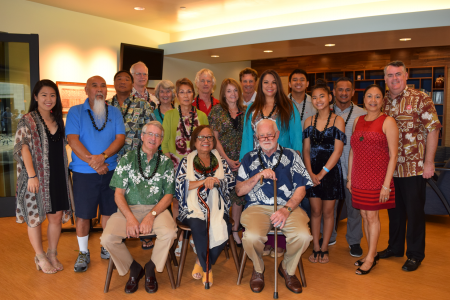 Forty years later, original UH West O‘ahu professors Dr. Dan Boylan and Dr. Ned Shultz presented Mila M. Ka‘ahanui and the families of Miles Hashida, Richard LaGory and Eulogio Tabisola with their Nā Lehua ‘Ula medallion and certificate.